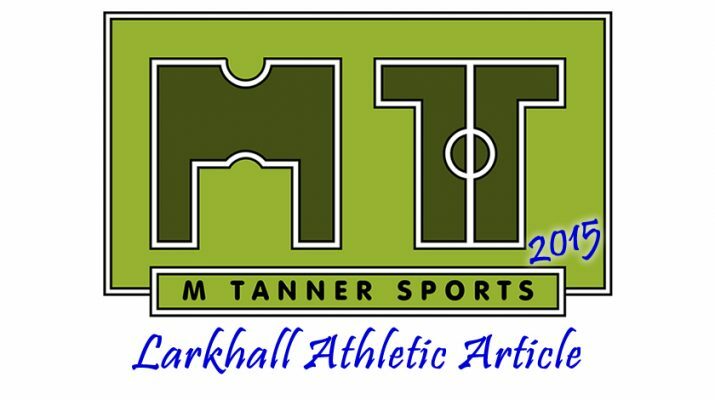 The Larks gave it everything in another very entertaining FA game against Conference South side Havant & Waterlooville. Frustration and tiredness did creep in at the end of the game but it takes nothing away from the 8 men that stayed on the pitch and gave a great performance despite going down 4-2. Ben Swallow, man of the match in the home leg for Havant, got forward well in the first few minutes but man of the match Ollie Price was on hand to clear his cross as the Larks started to get forward. Brad Norris had a long shot blocked after a good attacking move on ten minutes. Larkhall then had a dream start going 1-0 up in the 13th minute. Matt Thorne, in his last game for the Larks, headed the ball on with Norris nipping in behind the defence to slot the ball past Ryan Young. This served as a wake-up call for the home side and they started to push Larkhall back more and more in the first half. Breaking at pace, with some one touch passing, got the Larks back up the field. Norris had a chance from the counter attack on the right hand side; but his half volley went just over the bar. 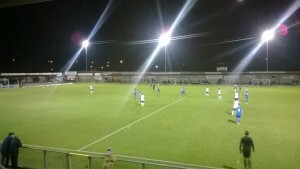 Swallow was Havant’s main attacking outlet and the winger set up three decent chances around the half an hour mark. However the Larks kept their shape and applied pressure well with Dan Strugnell and James Hayter (twice) going wide. Matt Paterson did fire a warning shot from distance for Havant but his shot stuck the post and went wide. A moment later Havant were level with Strugnell heading home a Lanre Azeez corner to make it 1-1. Azeez then created two more chances just before half time. Paterson saw his shot blocked from an Azeez cross then club captain Brian Stock saw his long shot soar over the bar after being closed down on the edge of the box. Havant did go into the break ahead taking the lead on the 2nd minute of injury time. On loan full back Calvin Davies managed to beat his marker to deliver a low cross which Paterson headed home much to the delight of the home crowd. Wayne Thorne must have told his team to get forward more to get back into the game and an early chance fell to the Larks. Norris and Thorne linked up well in the final third to create the space for Ross Lye to shoot but his well struck shot was blocked. The Larks were equipping themselves well going forward with plenty of men coming forward to join in the attacks. This is why Havant scored their third goal of the night. A great through ball released the pacey Azeez who advanced on the retreating Kyle Phillips. 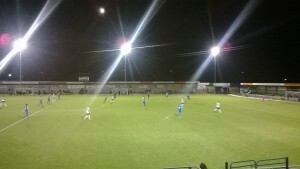 The winger kept his head up and spotted the run of Paterson on the right hand side to slide the ball across Phillips for the striker to get his second of the night. Two changes were made from the Larks bench with the introduction of experienced duo Dan Cleverley and Dean Griffiths. The Larks were still pushing forward well with chances being made. Griffiths couldn’t get a clean connection with his headed effort from the long throw with Young easily saving. The real turning point of the game came on 75 minutes with the dismissal of Dan Cleverley. Going in for a shot the midfielder lost his footing with a Havant defender diving in to make a block. Both players collided in the penalty area, with Cleverley down for a few minutes receiving treatment. Once back on his feet Cleverley was devastated to find out that the referee had shown him the red card as he lay injured on the floor. This didn’t stop the Larks’ decent spell of attacking pressure and they reduced the deficit to one goal just a few minutes later when captain Ollie Price headed home from a Jamie Lyons cross after a short corner. It wasn’t long until Havant added a fourth though and restored their two goal lead. Scott Donnelly, on as a second half substitute, played a neat one two in the box with Marvin Morgan (also on as a sub) to fire past Phillips. 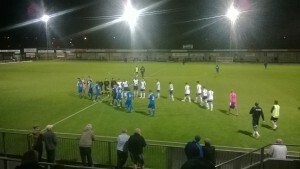 Havant created chance after chance against ten men Larkhall with Phillips saving well from Shamir Mullings. There were some heavy legs on the pitch as the game came to a close after the Larks had given their all to the cause. Matt Thorne came in late on a Hawks player to receive his second yellow of the evening with just five minutes left to play. None of the nine players left on pitch were about to give Havant an easy ride for the last five minutes. Phillips saved smartly from Paterson after the striker was found in space in the box. Lyons then clipped the heels of a Hawks attacker right on the edge of the box and the referee immediately pointed to the spot. Up stepped Paterson hoping to score his third of the night and take home the match ball. However Phillips went the right way and saved his effort to keep the score at 4-2. Davies had the last chance of the night with the full back being played in but Phillips was on hand again to save well. Unfortunately frustration got the better of Norris in the 94th minute with the striker catching a Hawks defender late. The striker, who had played well up to that point, received a straight red and the referee called time on the Larks’ FA Cup dreams.